The popularity of using repurposed shipping containers to create commercial, industrial, and residential space is growing at a tremendous rate. 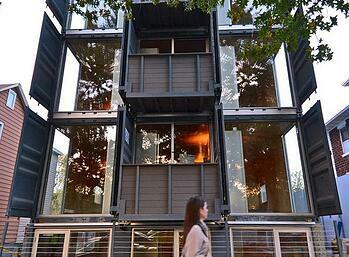 We're seeing “pop-up” bars, retail stores, offices and even homes being made out of modified shipping containers. The versatility, lower cost, and safety of these containers make them perfect for a variety of projects. The idea of repurposing a container as a single unit, or using it as a component to construct a larger building, is an extension of both the lean and green movements. 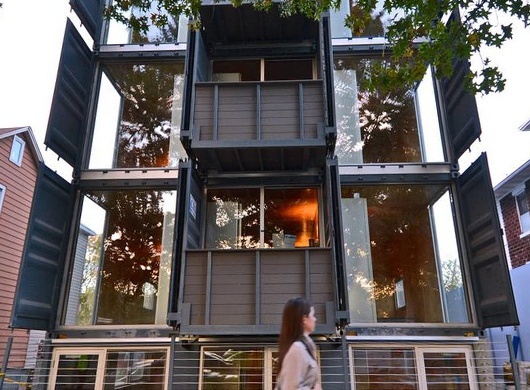 The surge of people who are repurposing shipping containers to extend their useful life, not to mention adding a “coolness factor,” is attracting a lot of attention. There are 34,000,000 ISO shipping containers in use around the world today. All are built to ISO Standards and maintained by the International Maritime Organization's (IMO) “Convention for Safe Containers” standards. Each box is capable of holding 55,000 pounds of goods and can be stacked nine high. They are all built to withstand harsh environments and vigorous use. The durability, safety (ground level access), and security (hard to break into) are all factors that attract industry users to utilize them for storage. But their use stretches far beyond storage; these traits are also the main drivers in utilizing them for other applications. A presumption out there is that shipping containers will cost less than a conventional business space. This is not necessarily the case as shipping containers need a lot of modifiers to function when the purpose is for a pop-up…but in the end, they’ll still be a trendy and cool spot bringing in curious customers and ultimately more traffic. Many contractors are using modified shipping containers as temporary office space on jobsites. They can be moved around with a forklift, making it easy to relocate. They are durable and can withstand bad weather. Special locks and modifying entry points provide necessary secure features. 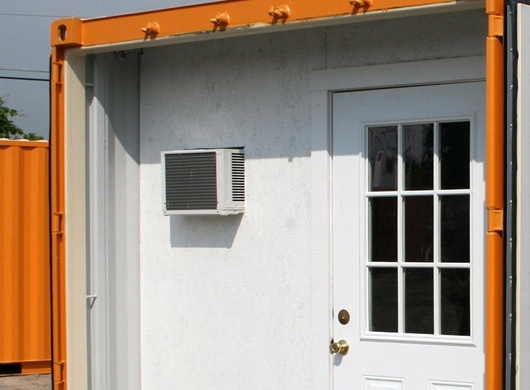 In addition, OSHA requirements are met easily since a container office used as a single unit is ground level and does not require steps or ramps for access. Shipping containers that are repurposed with electrical wiring and plumbing allow productivity to flourish, no matter the location. The original purpose of a shipping container is to provide storage of something that needs to be transported overseas. That is why it is not unusual for someone to also use it for storage on land. The difference is many users need to access their belongings a lot more often than someone using the shipping container to just transport items. A container being used for storage may be modified to include roll up doors because they are easier to open. It may also include shelving and even electric for interior lighting. The main reason shipping containers are used for storage by businesses and contractors is because of their construction features. A shipping container can be relocated easily by forklift because of the forklift slots built into its frame. They are also very resilient and durable, since their original purpose is to transport items via ship on open seas. The biggest reason is the security features built into the structure. 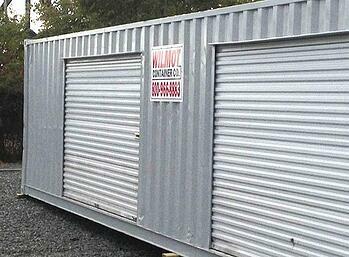 From the steel frame to specially designed locksets added after-market, a shipping container used as storage on land is the main choice for ground level storage by businesses and contractors. 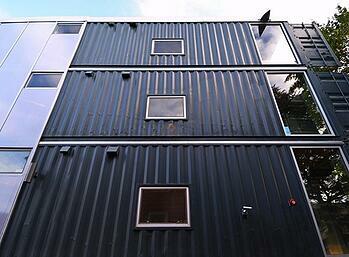 For developers and contractors, using shipping containers is a viable way to go when building a multi-family building. That is evident with the rising interest among owners and their architects. Just like any other modular construction process that utilizes wood or steel framed units built in a factory, shipping containers are now being repurposed and used as components for larger buildings. "Survey respondents say they are willing to pay an extra $32.64 a month in rent to live in an apartment building that has earned a "green building" certification such as a Leadership in Energy and Environmental Design (LEED) from the U.S. Green Building Council. Three-quarters of all respondents—75 percent—said they were "interested" or "very interested" in these "green" certifications. The certifications can even be the deciding factor for some potential renters." For educational facilities with increasing enrollment, extra housing space becomes one of the top priorities. The problem is more prevalent in urban settings. Rather than having to decline potential students due to space limitations, some schools have looked to using containers as components for dormitories. They are easy to stack and if designed by a professional engineer, they can be stacked in very unique ways. Containers can be brought on site for temporary housing while another building is in the works. Or, the other option is to simply use the repurposed containers as an affordable and fast, permanent solution. Dormitories made from shipping containers are easy to dismantle, move and reassemble in case of construction or relocating to a different site on campus. Inside living space can be fashioned into single, double or multiple rooms and bathrooms added for personal use are also available. A business interested in building a new facility for its offices that has a unique architectural twist, perhaps looking for an industrial looking building that is durable and can be erected in half the construction time as a traditionally built structure should consider using shipping containers to create the building. Shipping container offices provide an accelerated process regarding the timeline of construction and the return on investment. Banks, convenience stores, automobile dealerships and home sales centers are a few business examples that could need an accelerated process in construction. How is the timeline shorter for a shipping container office compared to a foundational office structure? Shipping containers are modified in a controlled environment away from the destination site, which makes the building process go faster. Once each component is built, it's transported to the final location. This means time is saved since building the containers is happening during the site construction as well. In addition to this, once the shipping container building is up and running, there's always the option to add on more container units when the business needs to expand. For those living on the outside looking in on the Mid-Atlantic region, maybe the first thing that comes to mind is the Chesapeake Bay, the Baltimore Ravens or beaches along the Atlantic Coast line, like Virginia Beach. However, for those who call the Mid-Atlantic region home, the unique and difficult qualities of living, working and moving require navigation and adjustment every season and day to day. With quickly expanding cities and suburbs resulting in smaller amounts of space, the versatility of repurposed shipping containers brings solutions to the difficult issues one may find when residing in the Mid-Atlantic and Northeast regions of the US. Here are some of the challenges Mid-Atlantic dwellers and companies face and how custom containers alleviate them. The Mid-Atlantic and Northeast regions get frigid in the winter and sweltering in the summer. 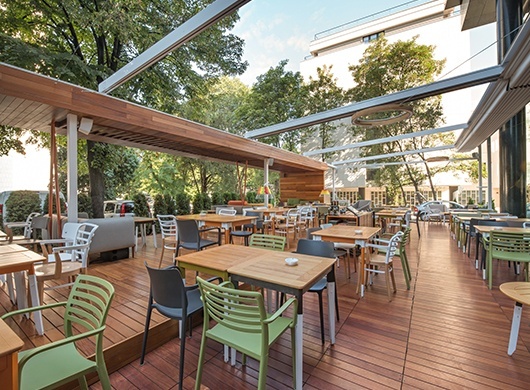 Whether using a modified container for a summer retail pop-up or year-round office building space, the temperature can be moderated with insulation and mechanically designed climate control systems. City dwellers who line the Mid-Atlantic and Northeast coast know about the noise, sirens and constant movement going on and how it can hinder a fast-paced work environment. Shipping containers can be made sound resistant; the inner and outer walls can be lined with sound-deadening panels reducing the constant city noise for more efficient work meetings, 3-ways calls or live studio recordings. Insulation is the main way to create sound resistance however, soundproofing is a customizable option as well. Durability is a necessity year round when it comes to the winter storms and summer rains; living and working space must be prepared for high winds, flooding, and really anything weather could throw out. Durability is a priority every repurposed shipping container meets. Look at their original purpose before the trend of using them as repurposed office space and pop up stores started. Containers shipped freight across oceans in rain or shine. They had to endure hard weather for long periods of time and there was no solid foundation to keep them grounded on the ships. With the wind and rain from the ocean, shipping containers had to ensure airtight seals to keep water damage from occurring. Despite these circumstances, they continued to remain impenetrable no matter the weather or location. Weathering steel is the material that’s made this durable impression and it’s covered with a marine-grade primer and paint for extra coverage. In the major cities of the Mid Atlantic where real estate costs are unbelievably high, consider investing in a building constructed with shipping containers. Accelerated construction helps minimize the costs needed to establish a rental facility. Though shipping containers, overall, don’t save you as much money as you might think, when trying to make a living in a big city, it’s definitely an option to consider. Here’s a city in the Midwest region that’s implemented shipping container options for homeowners and retail businesses. The purpose was to minimize the price of rent regarding real estate prices when compared to neighboring retail centers. In Washington DC, Baltimore, New York City and other major cities of the Northeast, real estate costs for both residents and developers are so high, it’s worth saving every penny possible. Due to the trying weather conditions year-round, proactive maintenance for a home or building in the Northeast and Mid-Atlantic is a must, no matter the architecture. Shipping containers are designed to withstand harsh marine environments when loaded on top of container ships. They are generally constructed from steel, with stainless steel fittings, paint that prevents corrosion and floors that are treated to prevent rotting. That said, as with anything that is exposed to the elements, it’s going to require semi regular maintenance to keep it in top condition. Because there’s so much precise work put into the container during construction for the transit time, the required maintenance is very low overall when considering its lifespan. Many stakeholders and industry participants are watching the ICC as they wade through the discussions, data, and industry-proposed guidelines. Until now, anyone using containers outside of their original purpose could be viewed as treading in the “wild west” in regard to state jurisdictions. State Administrators are quickly trying to catch up and control the situation taking a patchwork approach to those regulations. In some cases, the result of this is conflicting and duplicate regulation requirements. As a result, there is growing concern from companies operating in the portable storage and office market. 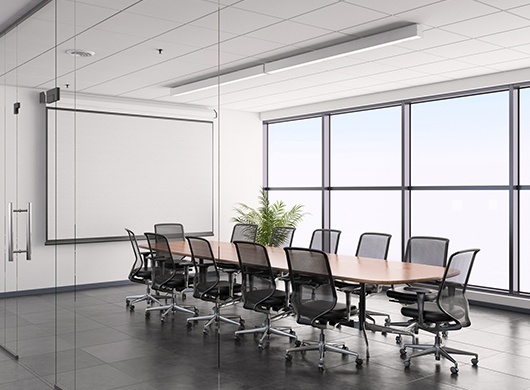 Those companies, to date, have already made a substantial investment of $2-3 billion dollars for ISO containers, their modifications, and ground-level offices (GLO) going towards their collective rental fleets. The decisions made by State Administrators is of critical interest to those investors and fleet owners. Code Officials use the International Residential Code (IRC) for residential facilities and the International Building Code (IBC) for commercial use as a guide to determine if building specifications comply with all life and safety regulations. Modular building fleet owners, however, rely on the International Existing Building Code (IEBC) to secure their ability to continue renting the portable buildings in their fleets that don't meet the most current building code. The IEBC regulates existing buildings, defined as “a building erected prior to the date of adoption of the appropriate code or one for which a building permit has been issued.” As the MBI points out, while this definition provides a great deal of protection for a majority of relocatable building products, it does not sufficiently protect the ISO container units, primarily to because those types of units have historically not been required to follow the permit process. When regulations aren’t specific and detailed, more problems and questions can be raised regarding what’s approved or not. The International Code Council (ICC) recently published guidelines that offer an approval process for the use of containers in buildings, but it does not distinguish between larger permanent structures made from multiple containers and smaller ground level offices (GLO). It also doesn’t state whether the acceptance criterion applies “going forward” or to be applied to the thousands of existing GLO’s. After a container modular is up and running, it has to go through code inspections like any other structure does. Local building code officials are scrambling to react to this growing requirement because officials and organizations are well behind in creating and enforcing regulations and compliance for these "containerized buildings." As a result, trade associations whose members are in the business of selling and leasing containers and other prefabricated buildings are getting heavily involved. These organizations and their entities have a lot of money riding on decisions made by regulatory agencies. The criterion for Code Officials has been developed in recent months through the joined forces of the Modular Building Institute (MBI) and the National Portable Storage Association (NPSA). This criterion outlines the different applications for modified shipping containers and how they should be used in a safe manner. The repurposed shipping container industry can be a complicated landscape to navigate, but it is not without its rewards. Owners, architects, contractors, and even industry leaders need to do their due diligence before diving in. Dealing with complicated and at times, ambiguous regulations will still deliver many benefits when looking at the ease of construction, mobility, and versatility you stand to gain. ISO containers remain to be the newest and most efficient way to create building space. Learn more about current repurposed containers in this industry with Wilmot Modular Structures.